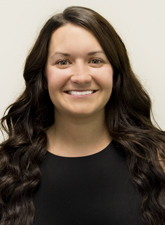 Katie Monbaron is a personal injury attorney at Edgar Snyder & Associates. She first joined the firm as a law clerk in 2015 and was promoted to paralegal in 2017. Attorney Monbaron earned her Juris Doctor from the University of Pittsburgh School of Law. She earned her undergraduate degree in history and political science at Hartwick College in New York. Attorney Monbaron is licensed to practice law in the state of Pennsylvania.